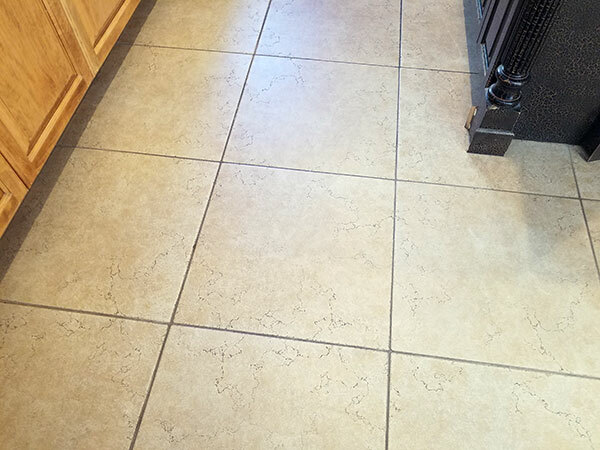 I wish I could have gotten a better angle on these before and after photos of a tile and grout cleaning so it would be easier to see all the sil that was removed. This family was moving into their new Tampa FL home and wanted to get it cleaned before putting the furniture in place. 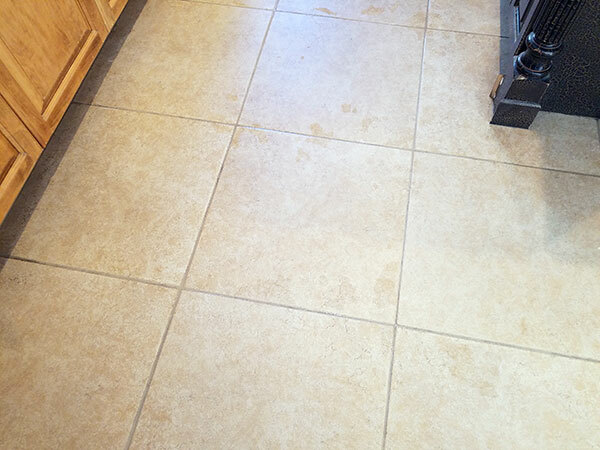 One of the cleaning services we provided for them was our tile and grout cleaning. The previous home owners had never gotten the tile floor cleaned by a professional grout cleaner. The house is over 15 years old and the floor had accumulated some soil on the tile and grout. it was due for a serious professional cleaning. At Chem-Dry of Tampa FL we have a powerful tile and grout cleaning service that can bring your tile floor back from the brink. If you look closely in the before photo the tile has a marble vein look to it. Dark squiggly lines that go across the tile. Now, look at the after photo. Those dark squiggly lines are gone. Yes, those lines were surface dirt that had collected on the small grooves on the tile face. The new home owner had no idea that those lines were not a part of the tile design. She was completely blown away by the fact that those black likes were dirt trails. Our tile and grout cleaning service not only removes the soil on the grout. It removes stubborn surface dirt that has settled into the textured face of the tile. Makes you wonder what your tile would look like with a professional tile and grout cleaning. For tile and grout cleaning in Tampa FL call Chem-Dry of Tampa.